A.J. Trahan is an artist we've featured here before, at least partially, for his work on Epic Mickey. But the stuff we're going to look at today is a little grander in scale. 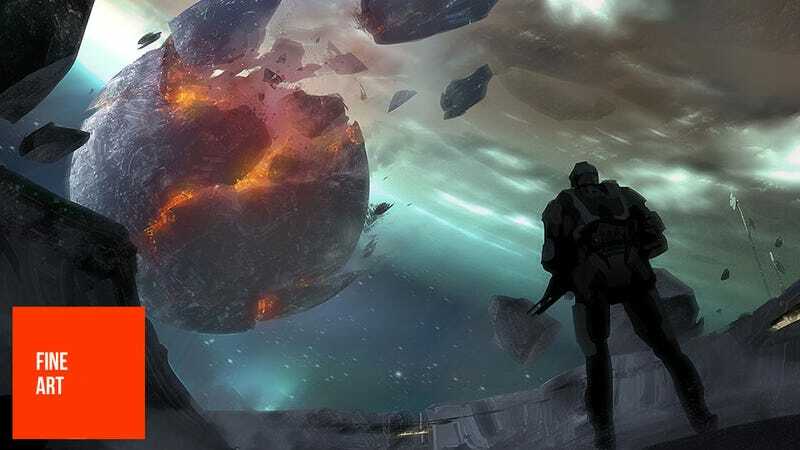 Trahan was one of the 117,342 artists who worked on Halo 4, but in addition to his contributions to Microsoft's latest blockbuster, we'll also be looking at his other work, including pieces from the "why the hell isn't it out yet" Panzer 88. It&apos;s Like a Reference Book. Only, For Halo&apos;s Spartans. If you want to see more of AJ's work, you should check out his personal site and CGHub page.